So much for "No photo allowed." The live photo we have on hand is a bit dark, but it's still useful for confirmation. 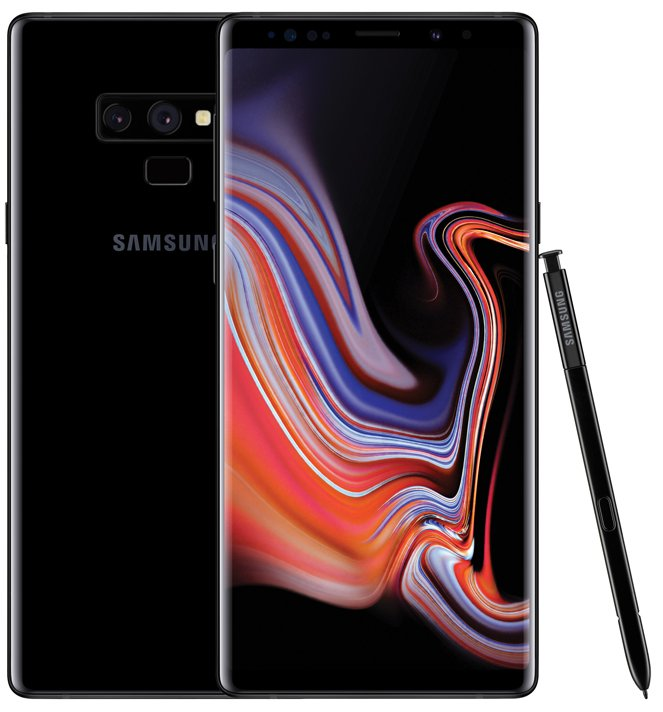 It shows the same exact camera setup and fingerprint sensor layout as the print ad's and the render's, meaning that this is almost certainly the final design. The extreme abundance of fingerprints on the back reveal that it'll be glass, as it has been for years. The screen on this unit is somehow already cracked. Our render comes courtesy of Evan Blass, who actually posted it as a response to an MKBHD tweet. 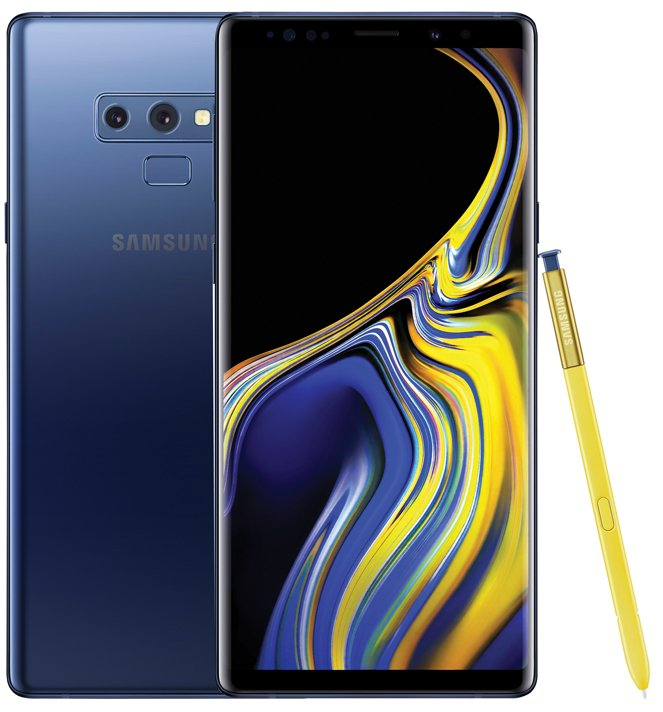 This render confirms the gold S Pen and blue color we'd seen in the print ad (and in the event invitation), and also reveals a pretty interesting-looking stock wallpaper. We also get a better look at the dual camera and fingerprint sensor setup, which is one of the less attractive ones we've seen in recent years. It actually looks a bit dated, which is ironic for a phone that hasn't even been announced yet. 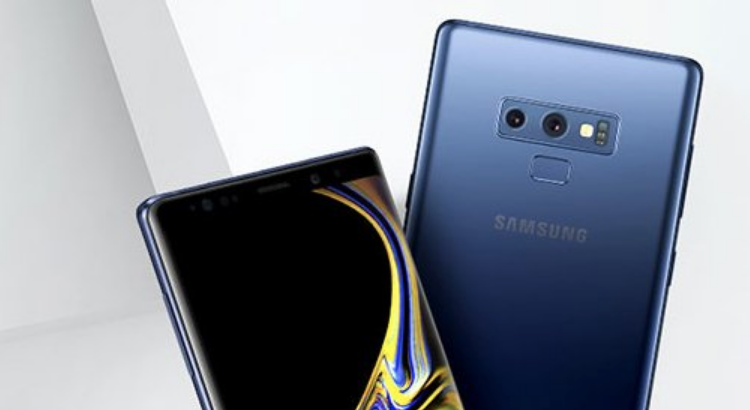 The Note9 is set to be launched in less than a month, so we won't have to wait too much longer to hear more about the phone. Chances are there'll be more leaks before then, though. 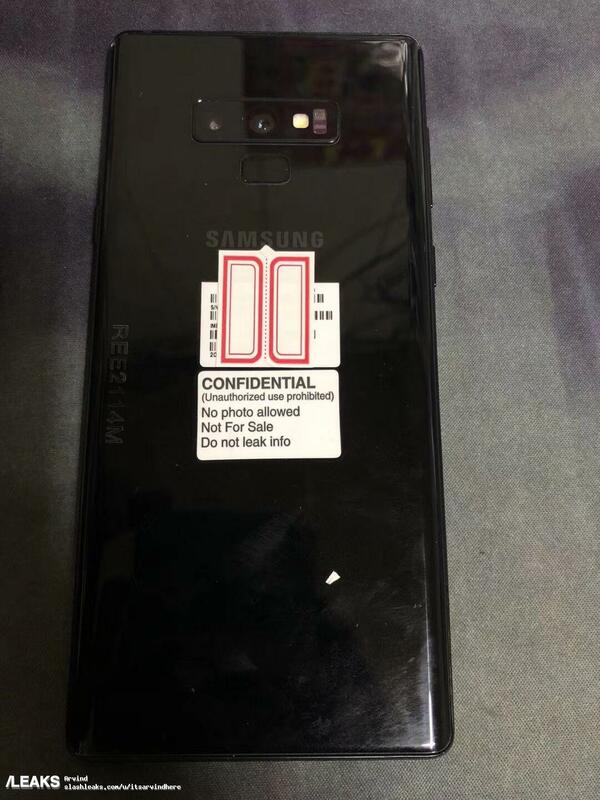 We're just a couple more weeks away from Samsung's presumptive launch event, and the Note9 leaks are only ramping up in intensity. 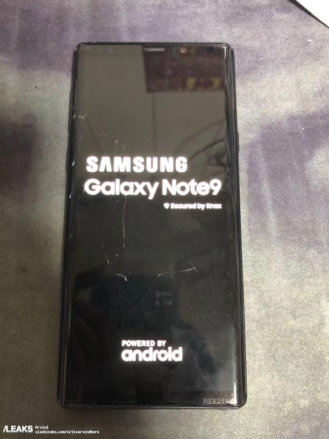 Just the other day we got to check out a new dual-device wireless charger, set to support the Note9 and new Galaxy Watch, and now we've got another glimpse at the Note9 itself, once again thanks to the sleuthing of Evan Blass. 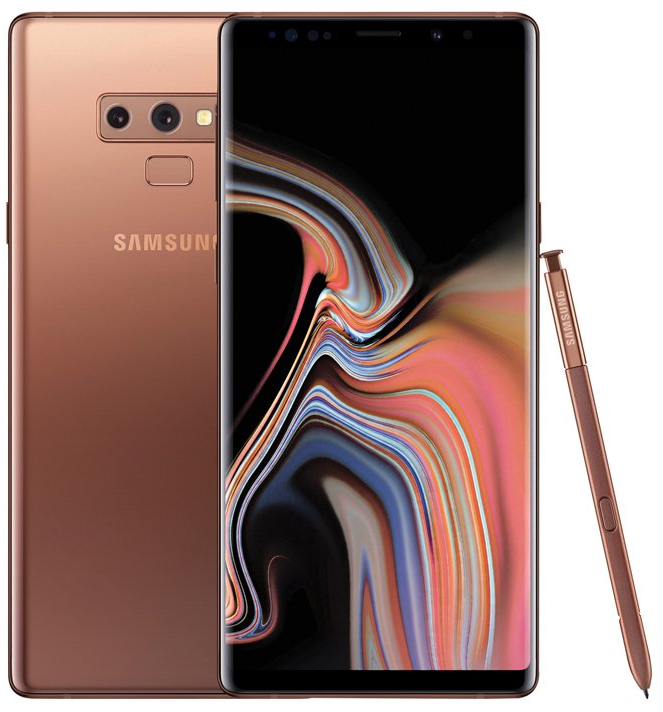 A brown version of the Note9 offers shoppers a neutral-toned look.